"Love to come up from the Bay Area and stop in for a great pizza when I'm on the road!" "Best in Mendocino County! We travel from Ukiah to eat here." 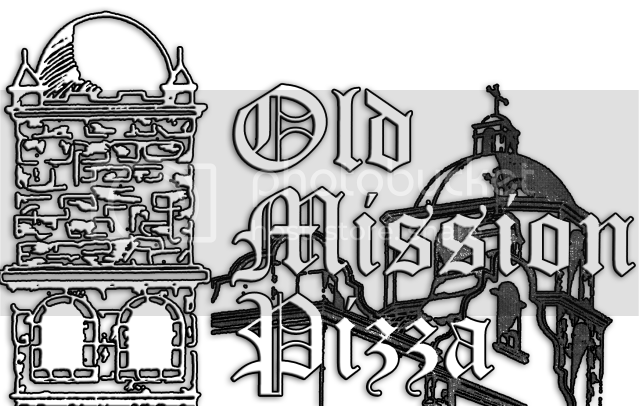 Welcome to Old Mission Pizza, established in 1990. 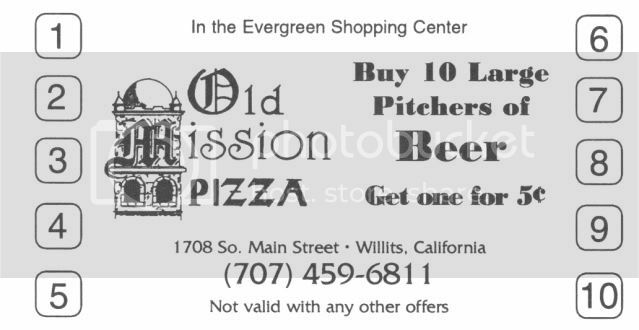 Located in the heart of Mendocino County, Willits, California, Old Mission Pizza serves up Mendo's best pizza pies. At Old Mission, every dish is created using only the freshest, finest ingredients. 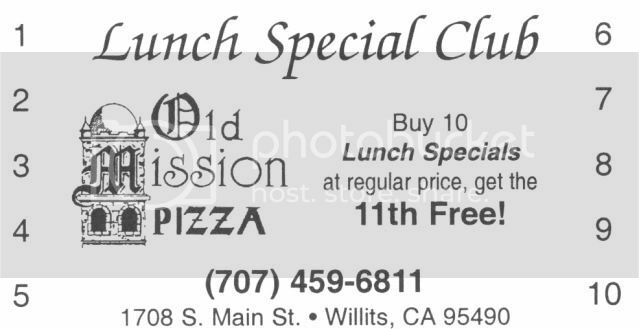 Old Mission is proud of its long tradition of serving Willits's pizza lovers. Stop by and see us soon in the Evergreen Shopping Center located at the southern edge of town. Content copyright . 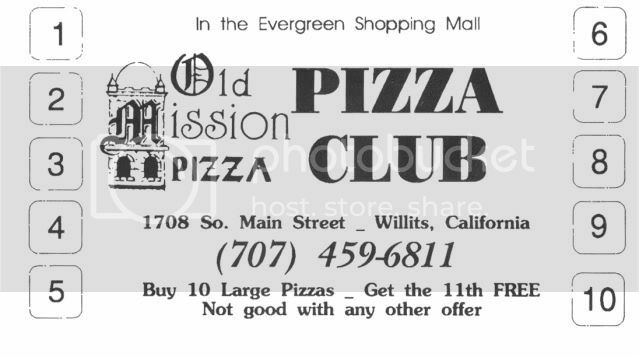 Old Mission Pizza. All rights reserved.